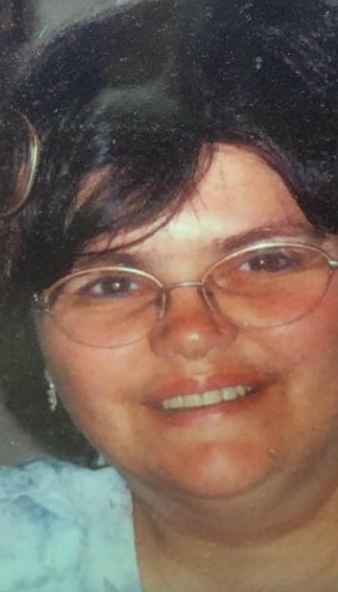 Jacqueline M. Falkner, 60, of Colfax passed away after a 20-year battle with Muscular Dystrophy on Sunday, September 30, 2018 at Mayo Clinic Health Systems in Eau Claire. Jackie was born to Harry and Carol (Hitz) Bird on March 2, 1958 in Boyceville. She attended and graduated from Boyceville High School. Jackie worked at Con Agra Foods (Swiss Miss) for 10 years, where she met Marvin. She was united in marriage to Marvin on her front porch on September 27, 1998. Jackie loved fishing, hunting, and being outdoors. She enjoyed going on nice long walks to the park with Marvin, where they sat on a bench and talked. Jackie is survived by her husband Marvin; siblings: Bert (Becky) Bird, Edward “Eddie” Bird, Donna (Dave) Bachman, Cindy (Chris) Galetka, and Ricky (Tammy) Bird; sisters-in-law: Diane (Paul) Veznet and Linda (Robert) Haney; and brother-in-law, William (Becky) Falkner. She is further survived by many nieces, nephews, other relatives and special friends. Jackie was preceded in death by her son, Cliffton Kitchner; parents, Harry and Carol; and brother-in-law Roger Falkner. Private family services will be held. Family and friends may leave online condolences at www.smithfuneralec.com. Sorry for your loss Marv and family. I am so sorry for your loss. Praying for your family. Prayers and sympathy to the families of Jackie. So sorry for your loss. Think of your family often. After 40 years I can still remember Jackie’s kindness. My condolences to the family. We’re so sorry to hear of Jackie’s passing. You have are deepest sympathies. So very sorry to hear this…. So sorry for Your Your loss..